Traceability is one of the key concerns facing additive manufacturing, as AM is increasingly adopted by OEMs and manufacturers alike. With regulations, reporting and quality control requirements coming into play — particularly for industries like aerospace and medical — the current lack of traceability across the AM ecosystem and supply chain must be tackled if AM is to fully come into its own as a viable manufacturing technology. And yet, companies are currently lacking the software infrastructure needed to ensure traceability and transparency across the AM ecosystem, due to non-integrated supply chains and disconnected systems. This is one of the major barriers to wider adoption of AM technologies. 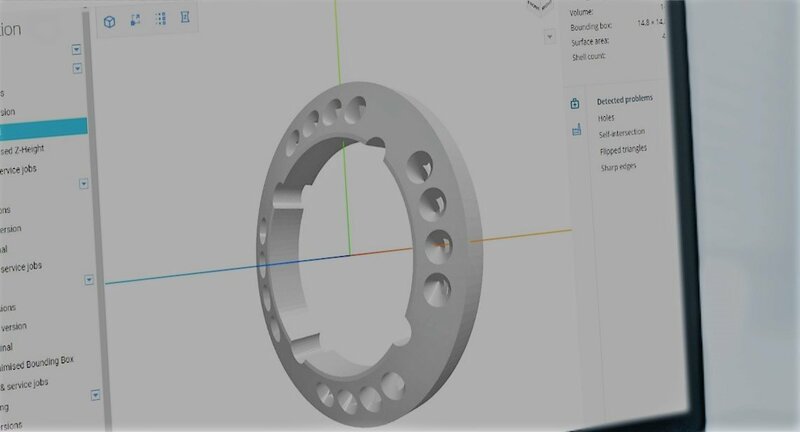 To solve the issue of traceability in additive manufacturing, the connection between hardware — 3D printers — and software is crucial, with software driving the push towards full traceability through the use of analytics, data reporting and, ultimately, machine learning. The answer to the current lack of traceability therefore lies in AM Automation Software; that is, software technology, such as RP Platform, that incorporates digital technologies, data analytics and machine learning to generate data to optimise the additive manufacturing process. How, then, can manufacturers and companies use AM Automation Software to ensure greater traceability? First, we’ll delve into why traceability is so important for AM. Why does AM need traceability? The ability to track the production process from start to finish, from the moment CAD files are received to when the desired part has been printed, provides numerous advantages for companies; not least because any faults or errors can be traced to the original fault point. A weak link in the supply chain system is companies’ lack of a clear overview of their supply chains; integrated systems and automation software will go a long way in ensuring that each manufacturing stage is logged and tracked. Greater visibility throughout the process will therefore enhance transparency and enable easier identification of possible pain points. End-to-end traceability through AM Automation Software can establish more effective greater quality management processes through data analytics and business intelligence tools. Being able to track exactly what has happened to your 3D part — and when — along the product life cycle adds a new level of process quality for additive manufacturing, as companies can easily review key data and optimise processes when errors or faults arise. AM Automation Software that provides production scheduling tools, digital inventory to keep track of parts and other production management tools is crucial for a fully robust and transparent AM production process. Such a system will allow you you can track the status of your parts, thereby ensuring each part is flowing through the correct stages — which is vital for the successful operation of any AM factory. File versioning is one example where greater transparency can significantly enhance AM production and provide added traceability in the pre-production process. As companies integrate AM into their manufacturing processes, AM departments will inevitably be processing thousands, if not tens of thousands, of STL files. Thus, the ability to not only save, but also to track new versions of your STL files immediately provides greater transparency for AM departments. The latest addition to our software does just this; driving AM one step further to full traceability with file versioning. Our new file versioning system is designed to fill the traceability gap in the pre-production process by allowing you to automatically store new file versions as files are automatically analysed, repaired and converted before they are sent to production. In the likely event that the STL files undergo several iterations, team members can easily revisit all versions of the file in question — no mean feat when you’re talking about tens of thousands of files. And with the large amount of files that AM departments will typically need to process, file versioning provides huge time-saving benefits, as you no longer need to manually rename files or maintain duplicates. With manufacturing shifting evermore towards Industry 4.0, digital technology, in the form of software, will play an important role in ensuring that manufacturers can track every stage of both AM production and the wider supply chain. AM Automation Software is ultimately the missing link in this evolution, for without the advanced data tracking and reporting capabilities, a traceable system for AM is unachievable. With AM Automation Software, therefore, better process quality management and transparency will finally be available for additive manufacturing — welcoming a new era of AM as a thorougly established manufacturing process in its own right. RP Platform provides AM Automation Software (AMAS) that automates and connects every stage of the additive manufacturing ecosystem. We help companies across industries realise the full potential of additive manufacturing and achieve greater efficiency and productivity in the process.